We hydroponically grow our produce and are located in a really great part of Vista in north county San Diego. The farm is nestled in a rural residential neighborhood area and is really easy to find and get to from the 78 freeway. The farm property is about 4 Acres. 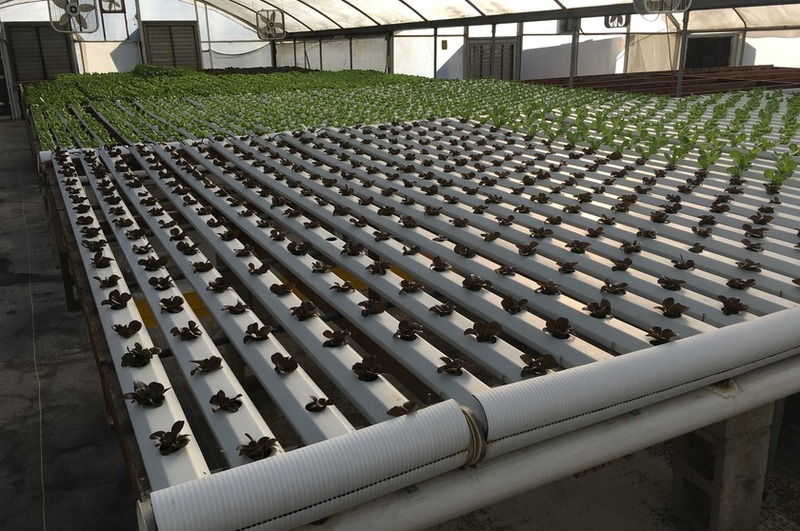 We harvest weekly all year round and operate out of 2 greenhouses that are each 20,000 sqft. A basil house, and a lettuce house. The great advantage of growing in a controlled environment means we are not necessarily constrained to seasonality, so you can count on consistency. Products Overview: A-Choy, Arugula, Basil, Bok Choy, Butter Lettuce, Chard, Cilantro, Green Romaine, Red Romaine, Kale, Mizuna, Muir, Mustard Greens, Red Salanova (butter), Sorrel, and Tatsoi.